When you want to make a change in your kitchen that is fast and simple then the first place you need to look is a wholesale dealer in RTA kitchen cabinets. Just picture your current kitchen and how much space (both top and bottom) that cabinets take up as well as the vital role they play in storage and organization and then think about how you want to maximize this. Older or worn out kitchens can easily be updated in no time at all by simply ripping out the cabinets you have now and replacing them with top of the line quality ready-to-assemble products that look like they cost a fortune. Instead, they are affordably priced and delivered straight to your doorstep in flat boxes with specific instructions on how to put the pieces together. In fact, the most difficult part of the entire process is probably the measurements unless you decide to utilize the same layout you have now and then you just have to measure the cabinets in place. The online availability of RTA kitchen cabinets at wholesale prices makes this one of the best upgrades that this room can receive because it is fast, easy and cheap. Choose from wood grains (dark and light), white shaker, rich black or soft gray and you can dramatically change the ambience of your kitchen with this single improvement. The customer service representatives can answer all your questions and walk you through the process to achieve accurate measurements and then put the custom order together for you for immediate shipping and timely delivery. Once the boxes arrive, all you have to do is follow the steps and use the accessories to assemble and then hang on the wall. Home remodeling projects can be complex, expensive and time consuming and sometimes there is no getting around that based on the change you are looking for but when it comes to giving the kitchen a facelift there is only one option to consider. 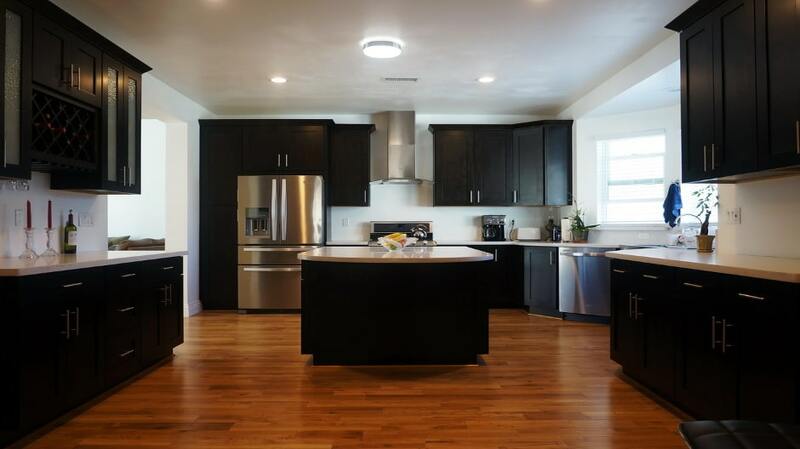 You can buy RTA Kitchen Cabinets Wholesale as they are the best way to go and they give homeowners the exact look and feel that they want without breaking the budget.